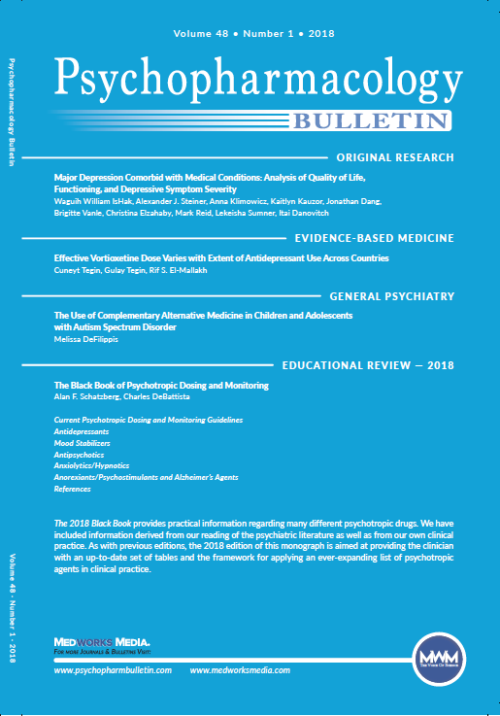 Entire volumes of both Psychopharmacology Bulletin and Gradworks Educational Reviews have been converted to Full Issue Stacked PDFs for easy reference and archiving. 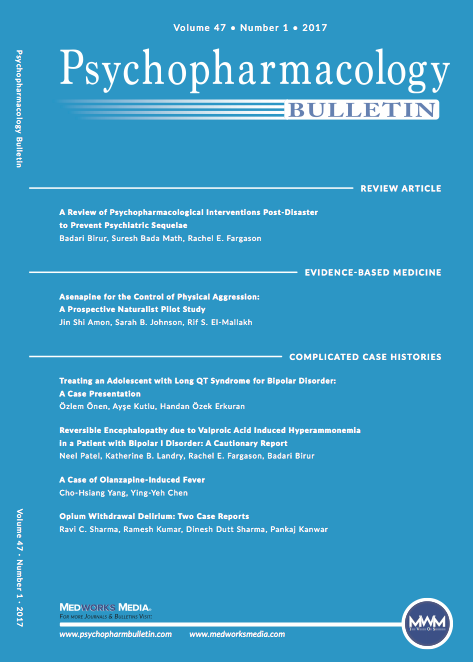 These Full Stacked PDF’s are single files including all abstracts, articles and tables from the respective issue or journal supplement. 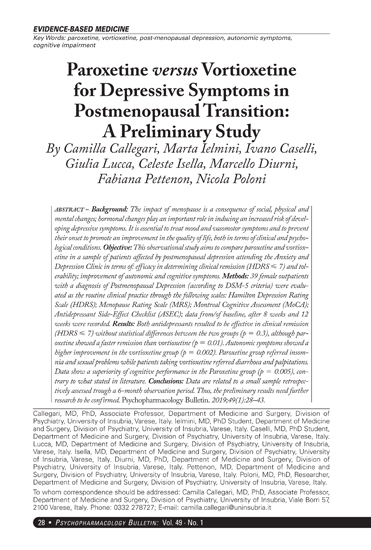 Once downloaded, these PDFs are easily viewable on desktop, tablets and mobile phones. At $60 per issue, these Full Stacked PDFs combine hundreds of dollars in value into one simple file format. 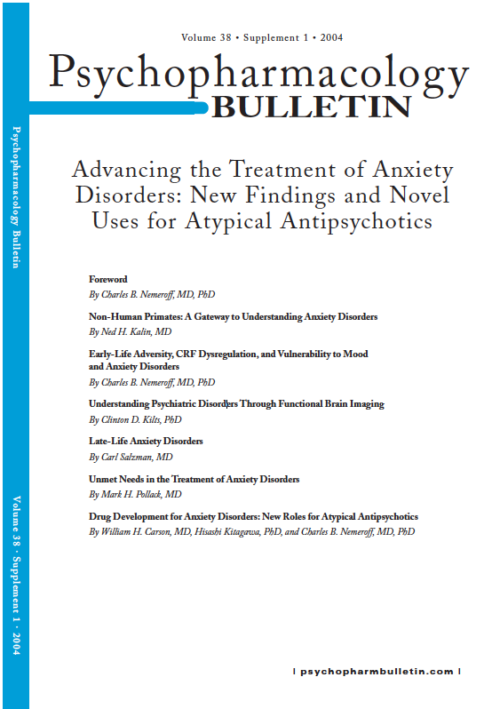 This product is the full issue of Psychopharmacology Bulletin VOL 49 No. 1. Upon purchase, you will receive a single downloadable PDF file with all this issues articles stacked from front cover to back cover. 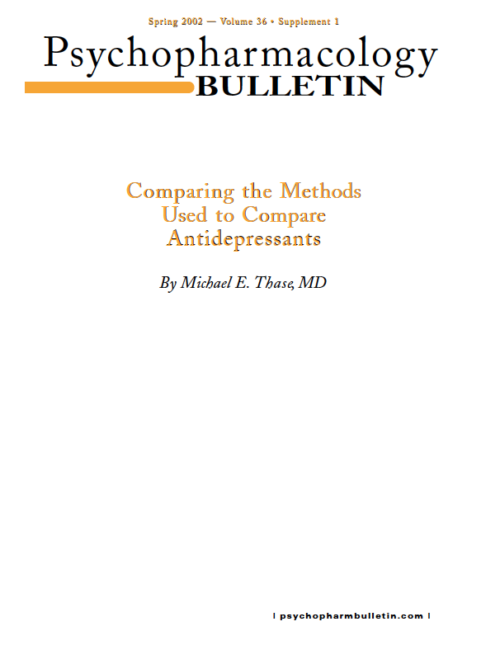 This product is the full issue of Psychopharmacology Bulletin VOL 48 No. 4. Upon purchase, you will receive a single downloadable PDF file with all this issues articles stacked from front cover to back cover. 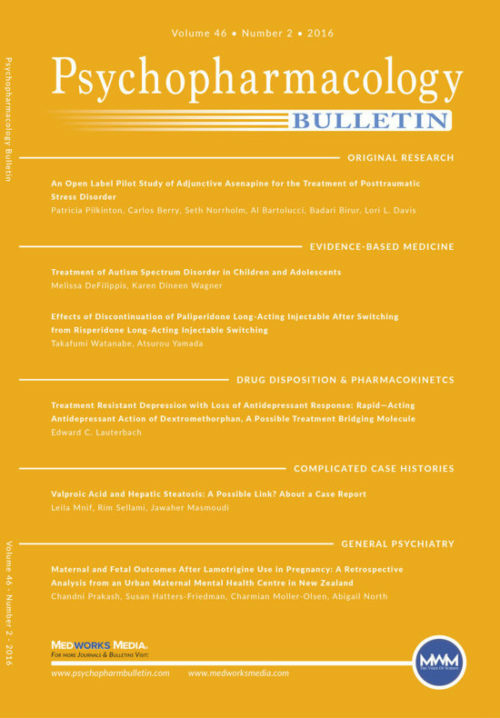 This product is the full issue of Psychopharmacology Bulletin VOL 48 No. 3. 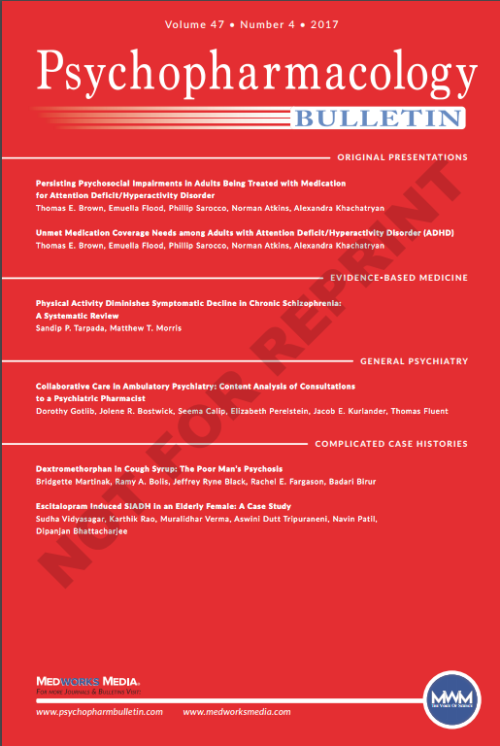 Upon purchase, you will receive a single downloadable PDF file with all this issues articles stacked from front cover to back cover. 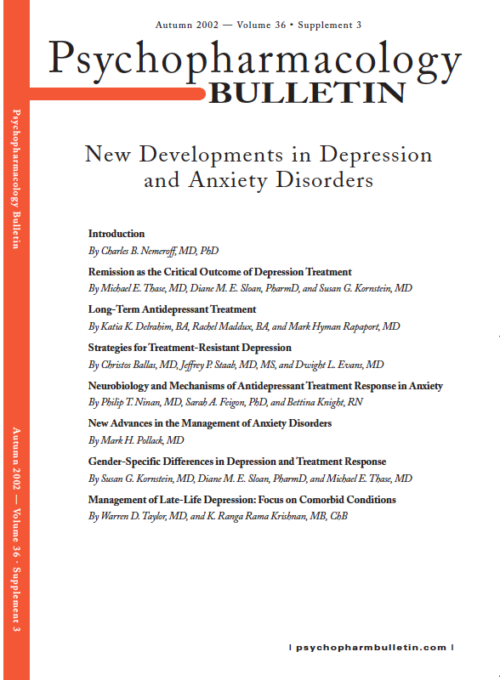 This product is the full issue of Psychopharmacology Bulletin VOL 48 No. 2. 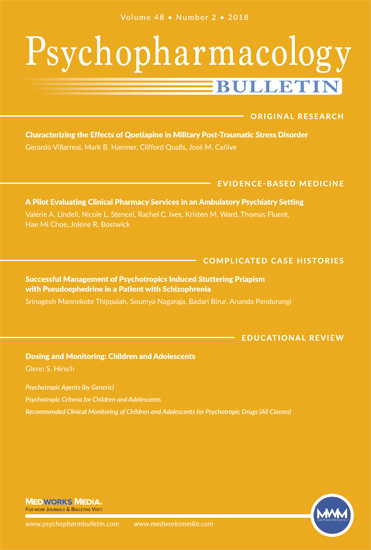 Upon purchase, you will receive a single downloadable PDF file with all this issues articles stacked from front cover to back cover. 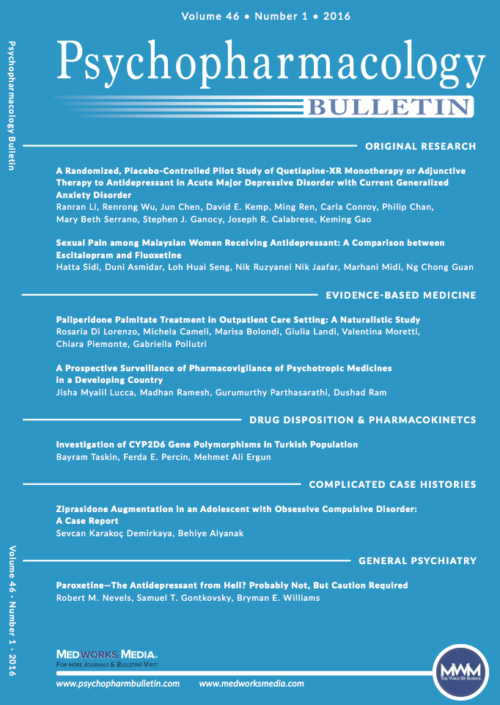 This product is the full issue of Psychopharmacology Bulletin VOL 48 No. 1. 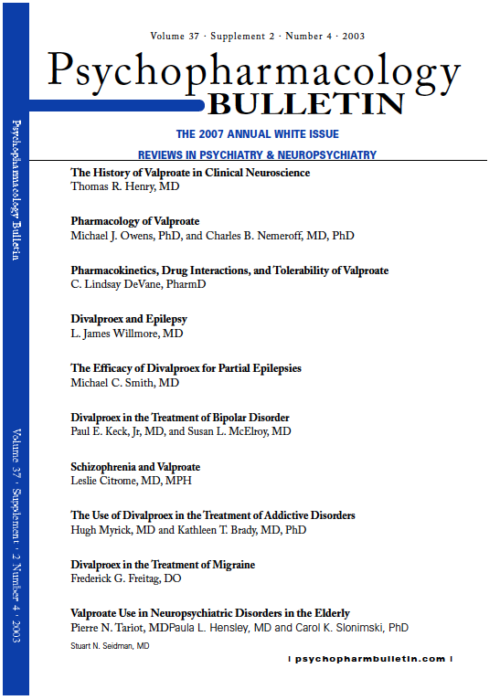 Upon purchase, you will receive a single downloadable PDF file with all this issues articles stacked from front cover to back cover. 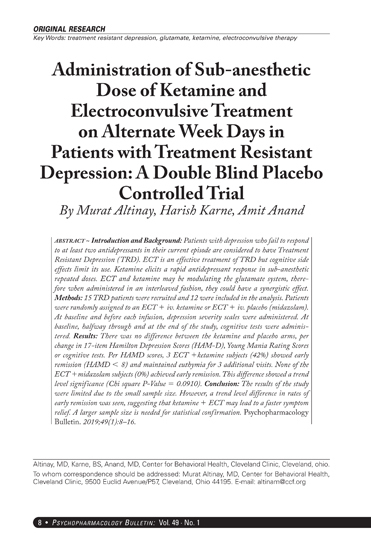 This product is the full issue of Psychopharmacology Bulletin VOL 47 No. 4. 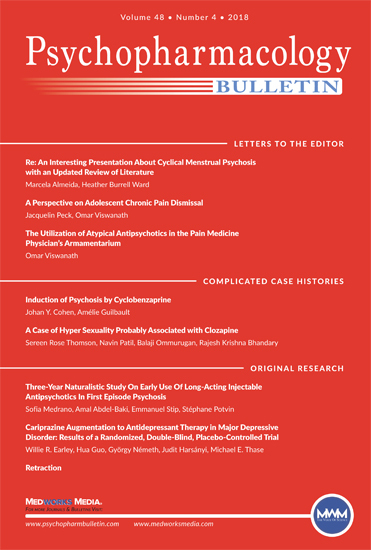 Upon purchase, you will receive a single downloadable PDF file with all this issues articles stacked from front cover to back cover. 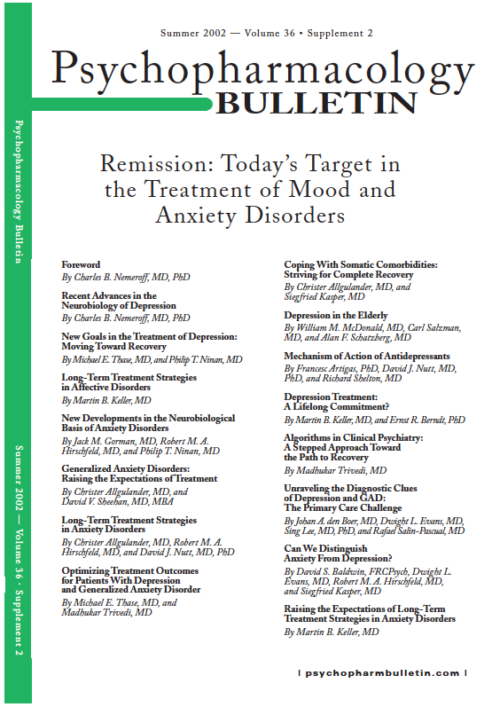 This product is the full issue of Psychopharmacology Bulletin VOL 47 No. 3. 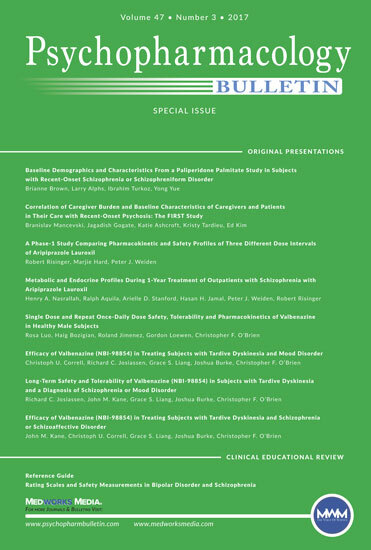 Upon purchase, you will receive a single downloadable PDF file with all this issues articles stacked from front cover to back cover. 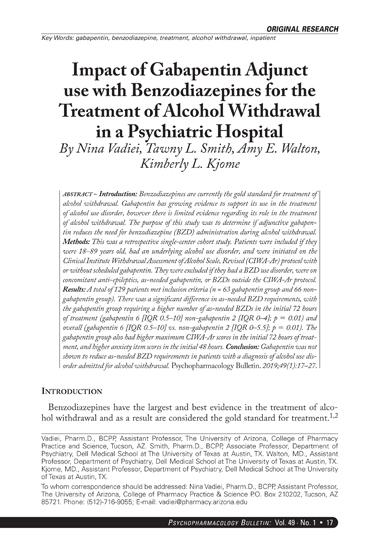 This product is the full issue of Psychopharmacology Bulletin VOL 47 No. 2. Upon purchase, you will receive a single downloadable PDF file with all this issues articles stacked from front cover to back cover. 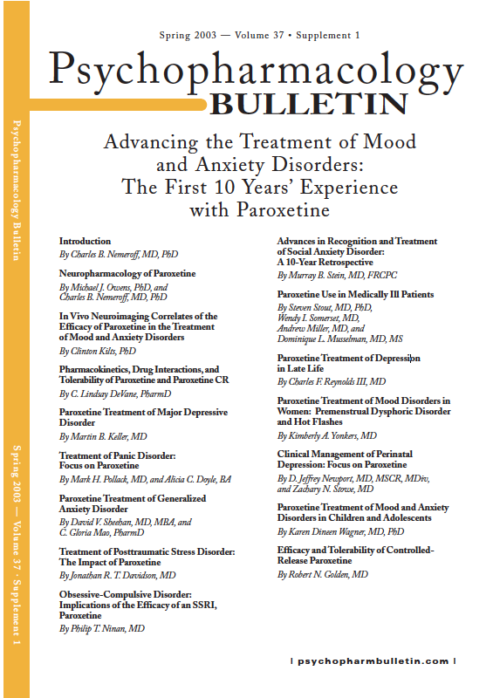 This product is the full issue of Psychopharmacology Bulletin VOL 47 No. 1. 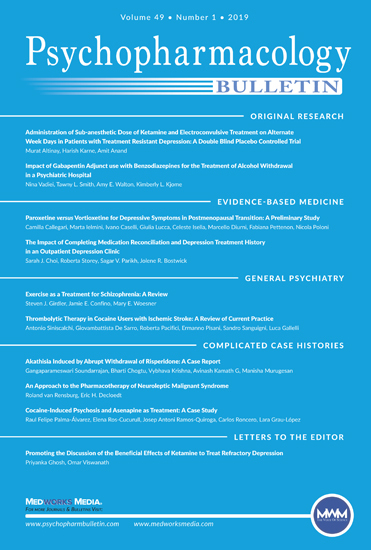 Upon purchase, you will receive a single downloadable PDF file with all this issues articles stacked from front cover to back cover. 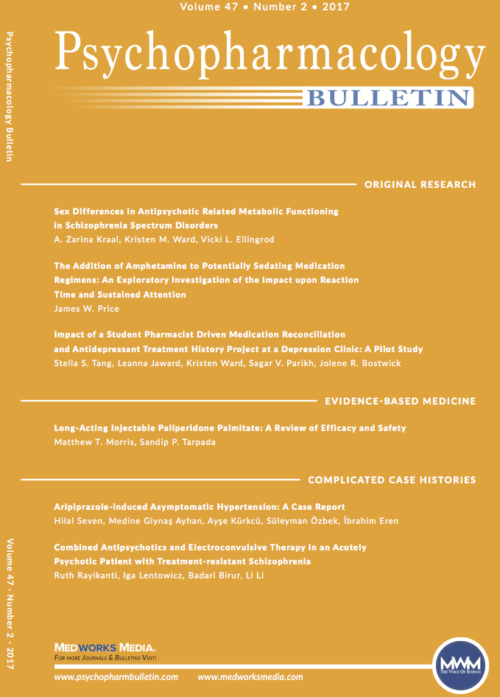 This product is the full issue of Psychopharmacology Bulletin VOL 46 No. 2. 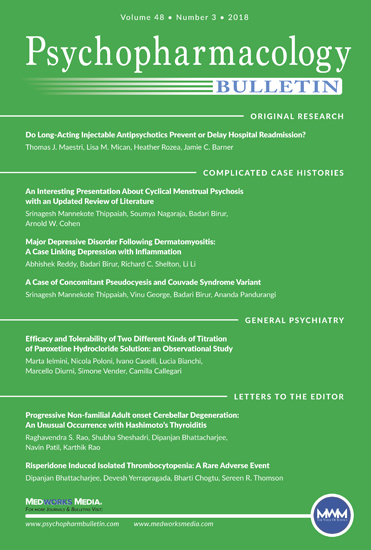 Upon purchase, you will receive a single downloadable PDF file with all this issues articles stacked from front cover to back cover.